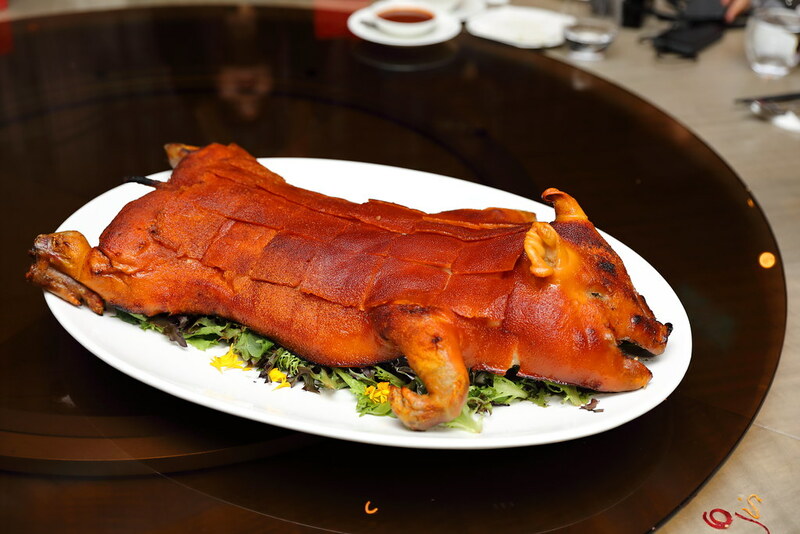 Usher in a prosperous and abundant Year of the Pig with sumptuous delicacies and specialty menus from Michelin starred Jiang-Nan Chun (江南春). Jiang-Nan Chun at Four Seasons Hotel Singapore has put together celebratory menus crafted by Executive Chinese Chef Tim Lam, that is available at $148, $178 and $228 per person for 6 courses, and range from $1088 per table of 8 persons to $5,688 per table of 10 persons for 8 courses. It also presents a range of sweet and savoury Lunar New Year delights, perfect for family celebrations or festive gifting. 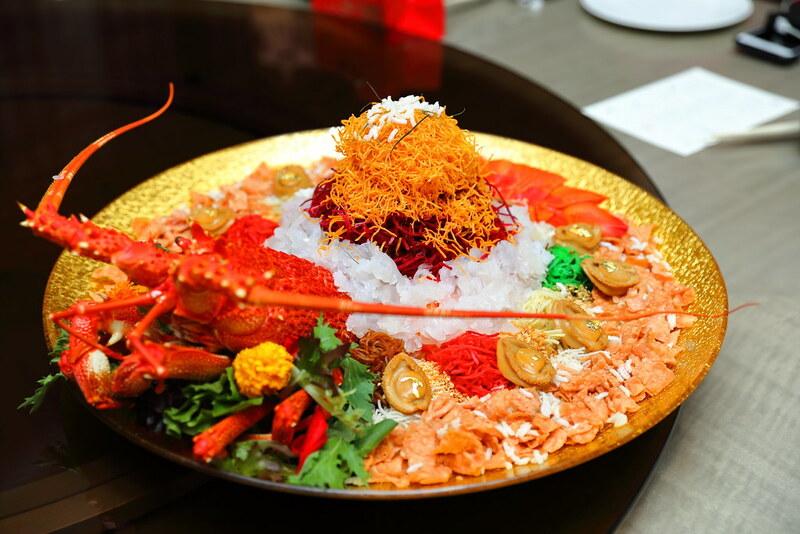 Kick start the year with the Abundance Australian Lobster and Abalone Yu Sheng. Tossed to a year of prosperity and abundance. 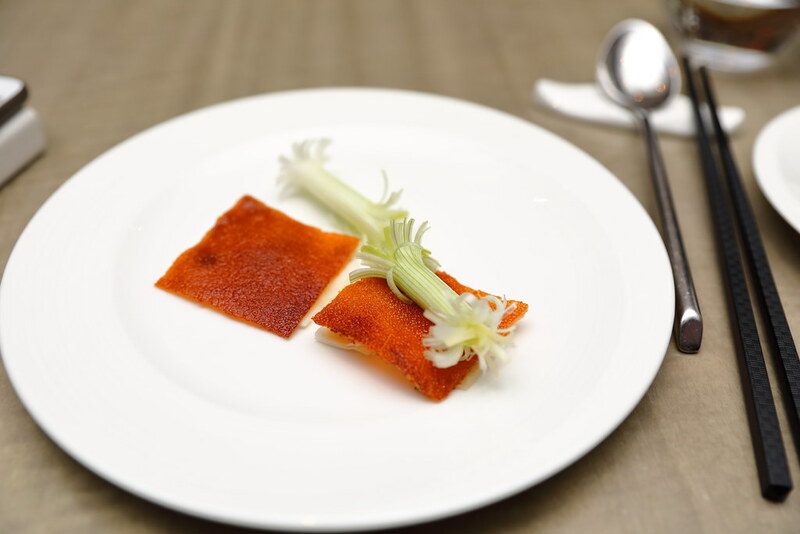 Both comforting and nourishing is the Double-boiled Superior Bird's Nest with Fish Maw and Chinese Cabbage. 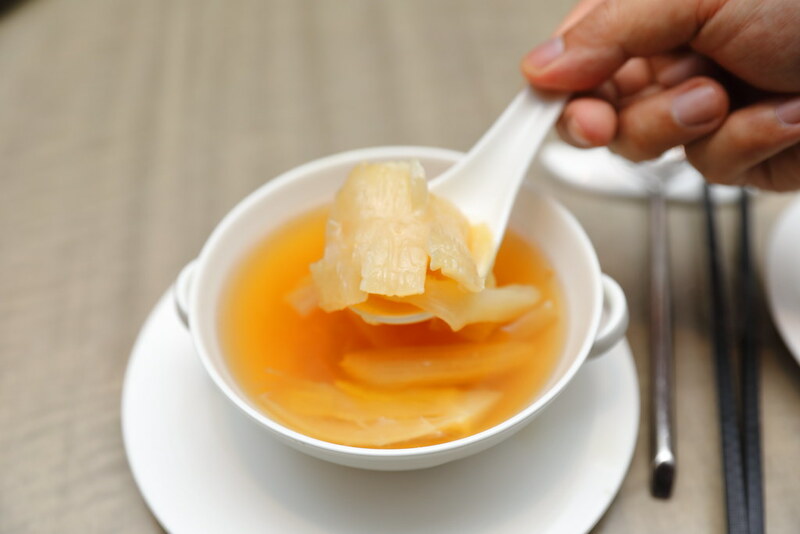 Enjoyed the softness of the Chinese cabbage, while at the same time giving the bowl of soup a enhanced layer of sweetness. The Braised Boston Lobster in Superior Stock is well executed. 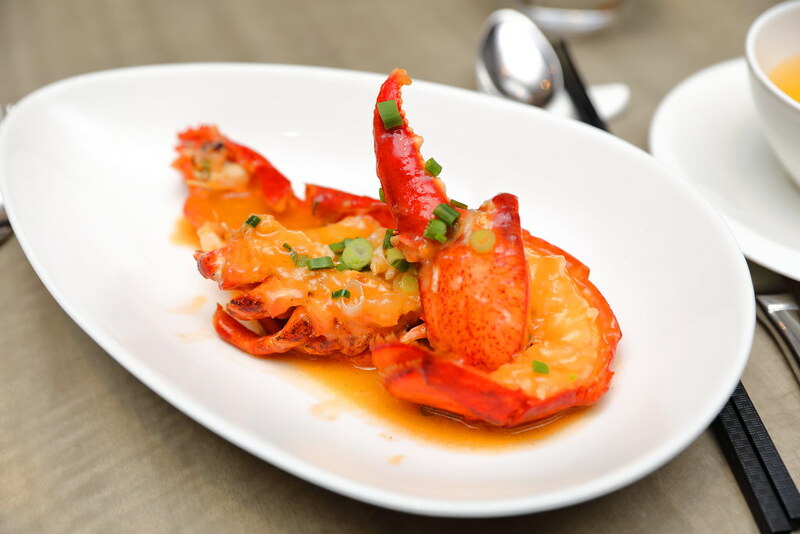 The lobster meat is cooked to a delightful bouncy texture, firm but still retain that juiciness. 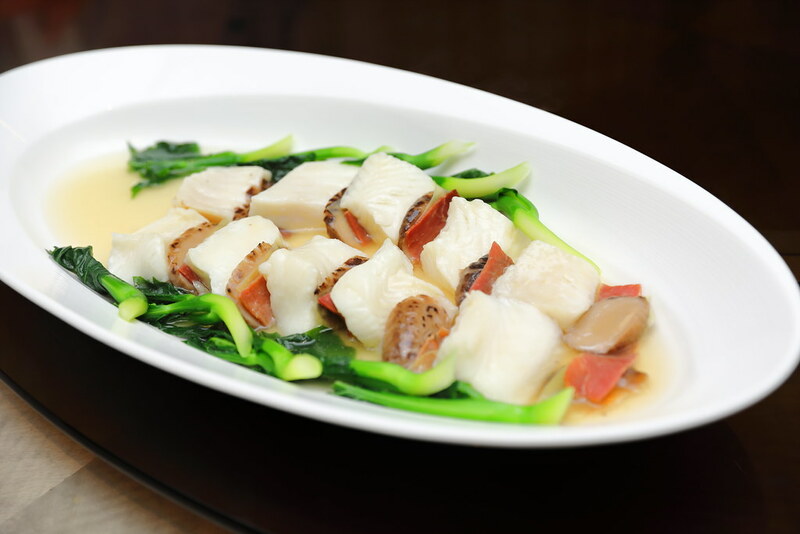 Fish is an auspicious dish in Chinese New Year and this is represented in the Steamed Cod Fillet with Sliced Yunnan Ham and Mushrooms. The flavour was not as intense as I would have expected. It seems that rich flavour of the Yunan ham was not totally drawn out. Do you know that Jiang-Nan Chun has their own in house barbecue specialist? This is how serious they are with their Barbecued Suckling Pig. The skin was crispy and crackling. 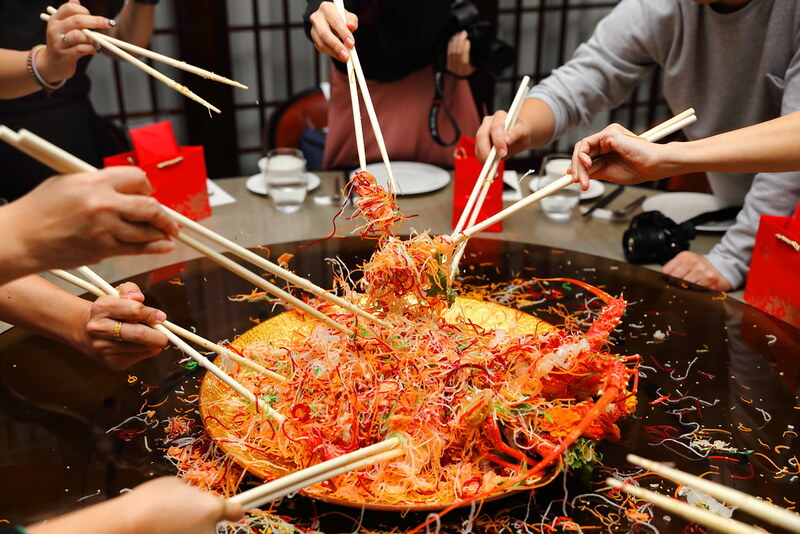 it is best enjoyed together with the steamed pancake, scallion and hoisin sauce. 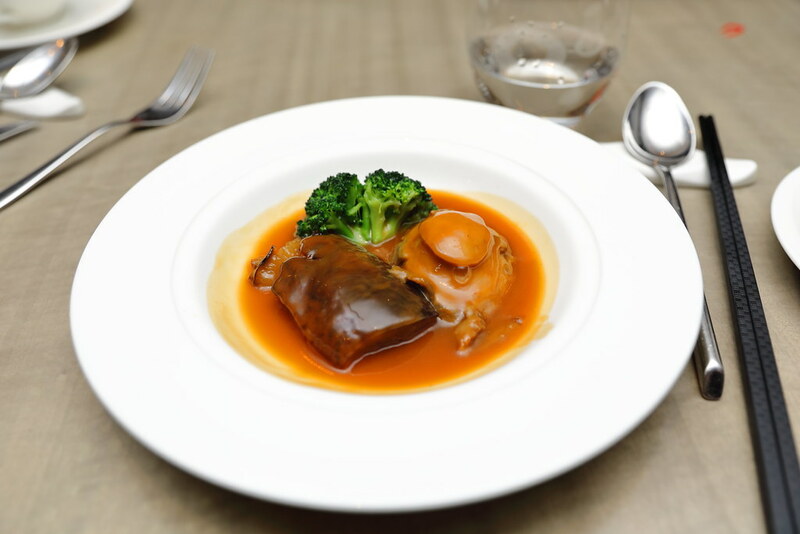 What stood out in the Braised Sea Cucumber with Three Head Abalone dish is the abalone. Everyone at the table was commenting how soft and tender it was, complemented by the excellent sauce. 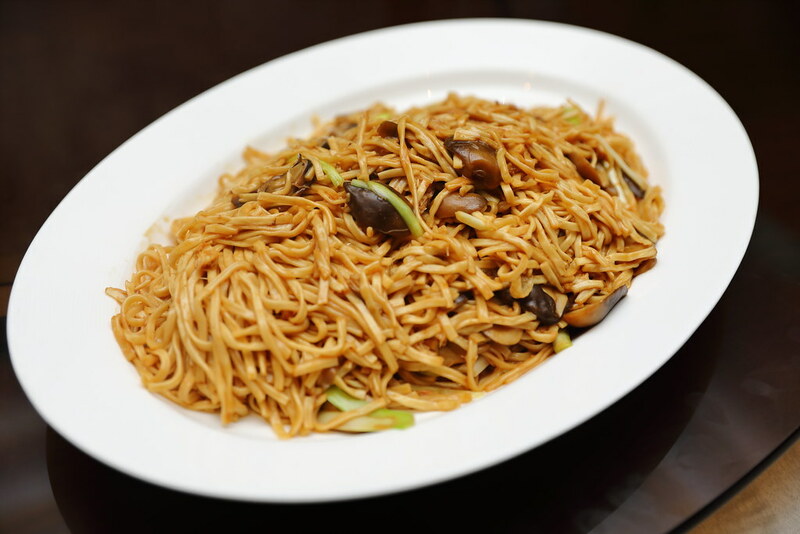 While I enjoy the Braised E-Fu Noodles with Crab Meat and Straw Mushrooms, I could not really taste the crab meat. Even so, I think it will be masked by the rich, savoury sauce. Wrapping up the dinner is the Double-boiled Hashima and Red Dates and Lotus Seeds. 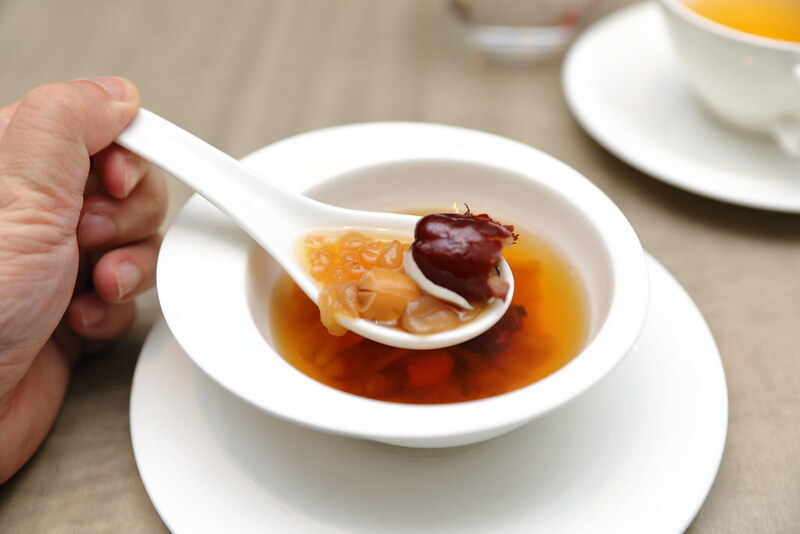 Served warm, the sweet soup somewhat helps to cleanse all the richness from the earlier dishes.